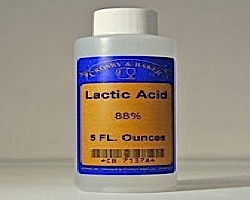 Lactic Acid, 88% solution, 5oz. Usage varies. Will lower pH by up to .5 pH unit.